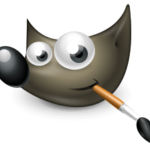 GIMP or GNU Image Manipulation Program is a free and open source raster graphic editor. It allows image editing, image re-editing all by the use of a single software. GIMP was first released in the year 1995 as General Image Manipulation Program. Today, it is one of the most popular computer software for image editing. The program can be used for free-form drawing on an image and to change the image from one format to another. Users can also perform other specialized tasks using the toolbox provided. ● A large number of colors are available to be used from the color palette. Users can click on the eyedropper tool to select a color on the canvas. Colors can also be chosen using hexadecimal color code. ●Color blending can be achieved by simply using a Blend tool, by applying a gradient to the surface of the image and using GIMP’s color modes. ●GIMP has approximately 150 standard effects and filters including drop shadow, blur, motion blur, and noise. ●Users can also write a text on the image by using the text tool. Text layers can be created and affixed on the image. How to download GIMP 2.2.6?